If you frequent Savvy Sassy Moms, then it isn’t news to you that we are lovers of Cabi Clothing. 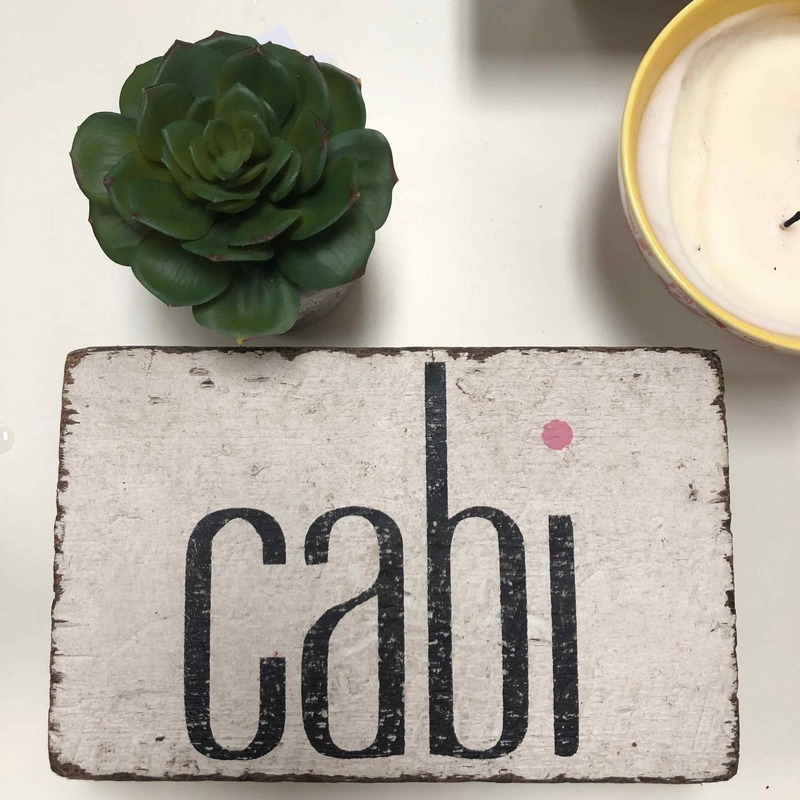 This past May, we were invited to Cabi Blogger Day. 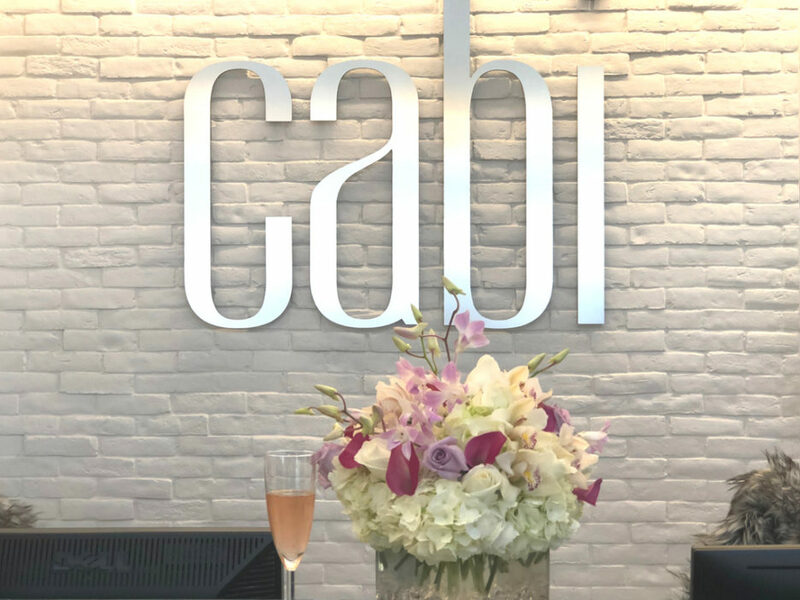 We knew that we had to drop everything and run to the Cabi head office in Manhattan Beach, California to see the Cabi team, who hold a special place in our hearts. 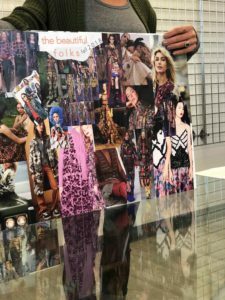 Last year, we attended Cabi Conversations where we met some incredible women in the blogging space who we have remained close with ever since. 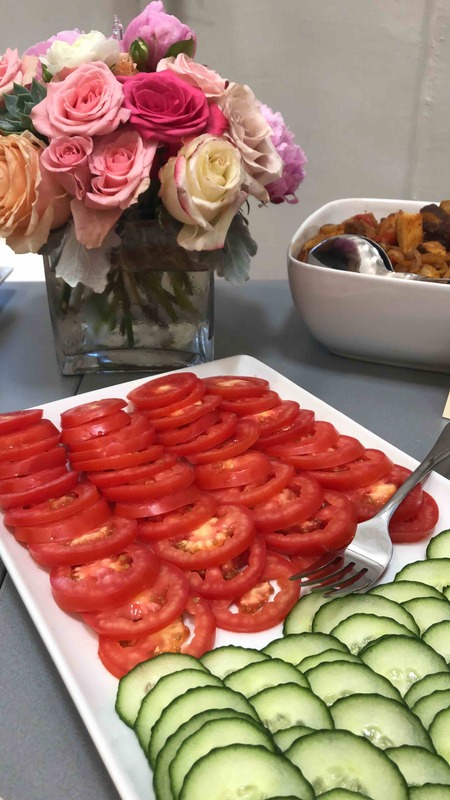 As we have learned, Cabi Blogger day is something that you get to experience one time and trust us, each minute was worth savoring! 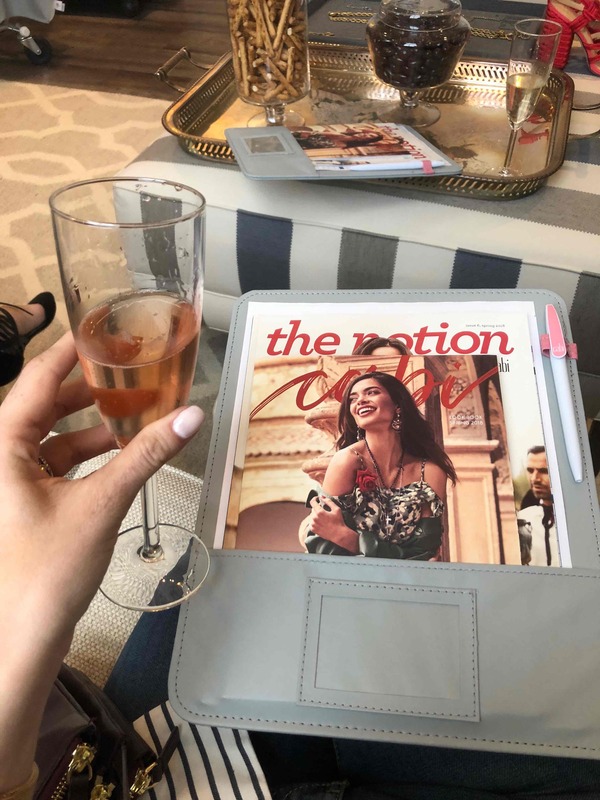 Cabi Blogger Day is a day filled with fun, fashion, education and of course, a photoshoot where we were styled by the designers of Cabi Clothing…more on that to come later! The day began with the most incredible breakfast with an incredible group of women, bloggers and the Cabi team alike. Am I right? What could be bad when you have delicious food and stunning fashion? It was such a treat to sit and have breakfast with the Cabi team after the incredible welcome we had upon our arrival. 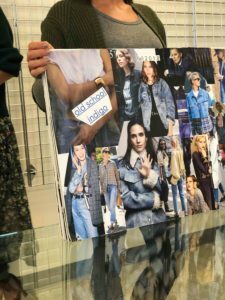 After breakfast, we met with a few of the incredible Cabi designers who shared mood boards and trends for the upcoming fall line. 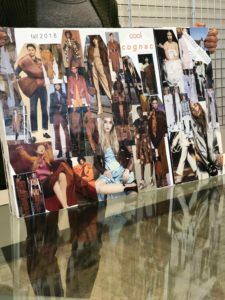 With reds, cool cognac, old school indigo, and midnight garden green to name a few, we knew that we were about to see some spectacular items! With pear detailing, velvet shoes and stunning colors, the fall line is going to be unbelievable! Get ready Cabi lovers! 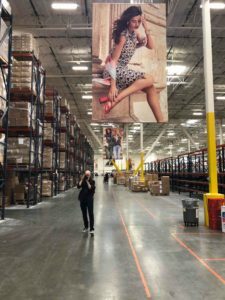 After we ooh’d and ahh’d over all of the clothes, which we will feature here when they are released, we went for a tour of the Cabi Head office. 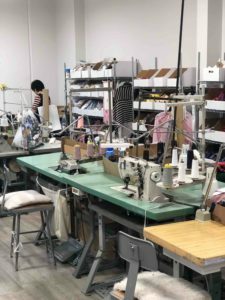 The fabrics, boxes, sewing machines alone were incredible to see! One of the most touching experiences of the day was learning about how Cabi gives back. We have on SSM before that Cabi is a business started by women, for women. Naturally, helping women in need is something they believe strongly in. 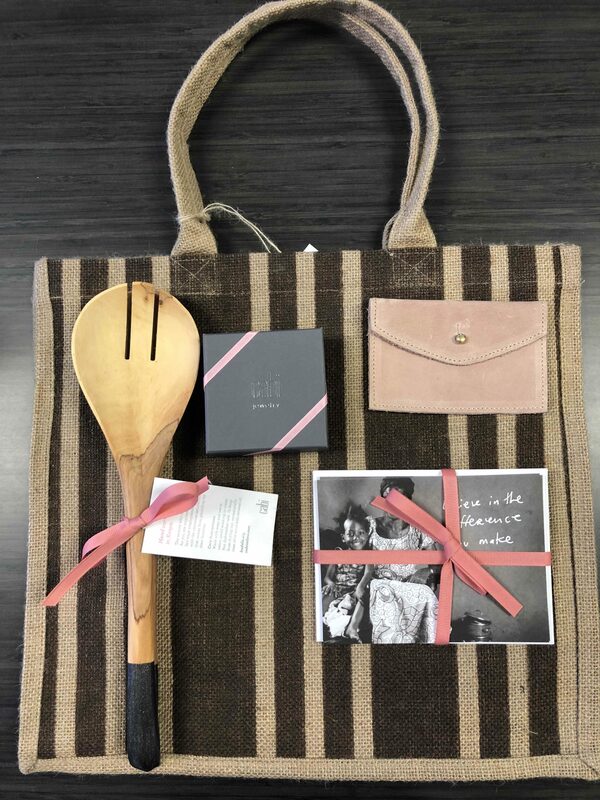 We were so touched to learn about how Cabi is helping women all over the world, especially women in need. When a Cabi stylist signs up with Cabi, she is embarking on a journey. She begins her own business where the sky is the limit. Cabi takes that to the next level to help other women who need it. Every time a new stylist signs up, Cabi gives a small business loan to a woman who is looking to start their own business in a developing country through something called “Opportunity International.” Together, they have partnered to give women the money needed to be able to start their own businesses. The small business loan gets opened up in the stylist’s name, which means that each stylist has a ‘sister entrepreneur’ in a developing country that they can then watch grow and feel connected to on the other side of the world. This makes such an impact on both the stylist and the sister entrepreneur. We heard a story about Biata, a woman who makes beautiful bracelets and employs many other women. During the genocide in Rwanda, she lost her husband and 3 of her children. She herself became very physically debilitated as well. The loss that suffered is unimaginable, but with the support of Cabi and “Opportunity International,” she was able to turn her life around and support herself and her family. Biata, makes beautiful bracelets that we were given and will cherish always. 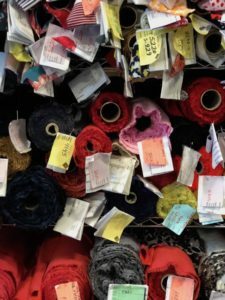 Another program that Cabi runs is the ‘Make a change program.’ At each Cabi Experience, the stylist talks about the foundation and asks the women they sell to if they would like to round up their purchase to the nearest dollar. All of the change from each sale goes directly to the small business loans. This season alone, just from that small incremental change, they have been able to donate 500 small business loans. It really shows how such a small act can make such a huge change. It doesn’t end there. Cabi gives back in so many other ways to, from giving clothing donations to schools in developing countries, to helping women in our own backyards. There are many children in schools in developing countries wearing Cabi clothing as part of their uniforms. When natural disasters happen in our own backyards, the Heart Of Cabi Foundation helps people by giving back. 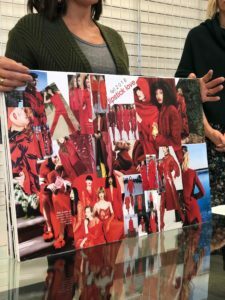 Last year in Florida, many local stylists pulled together to provide the Cabi Experience to woman who had lost everything and offered them free clothes. The list goes on and on, and while there have been too many natural disasters happening all around us, it is incredible to know that this amazing company is there to support those in need. We left with a full heart knowing that Cabi is a brand that believes in everything we believe in. If you have never been to a Cabi Experience, let us be the first to tell you that it is F-U-N! We had the pleasure of participating in a Cabi Experience run by Alicia, you can find her at CabiByTheBeach. 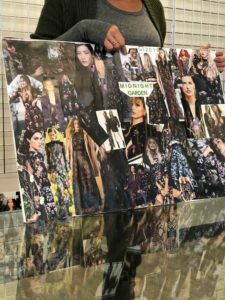 We learned all about the spring line, what pieces go well together, fun facts about the interior lining and names of the prints! Alicia got each of us involved by getting us to stand up and show off our style, she had us try on some clothes and we all had so much fun together! It was a blast sharing our thoughts with one another and encouraging each other to try new looks. 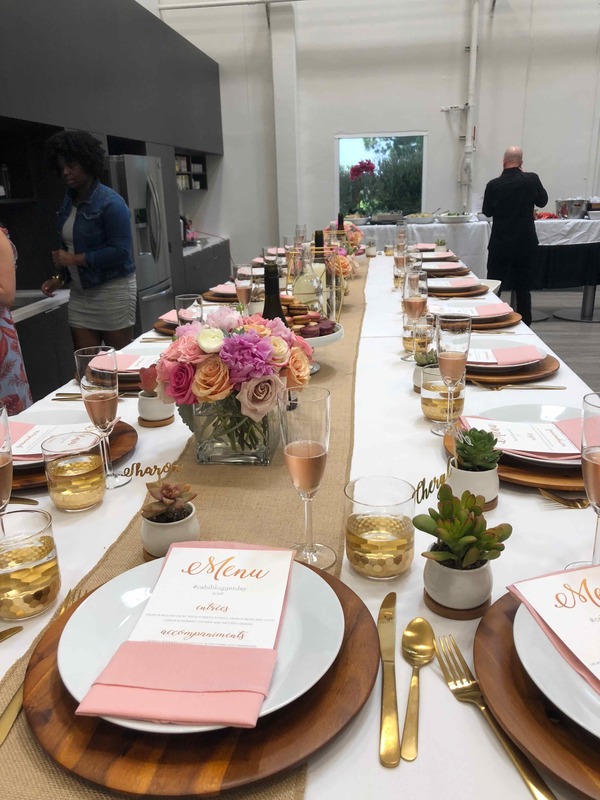 After all, what’s better than shopping with a whole bunch of friends while sipping champagne!? Not much!! Our Cabi Blogger Day day ended with a photoshoot IN the NEW FALL LINE! We can’t share anything yet, but we can’t wait until we can! You are going to love what’s coming out! In the meantime, check out the video below from our amazing day. 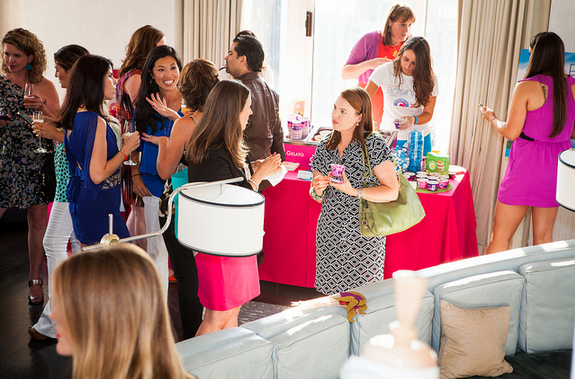 Then read on to meet the amazing bloggers who were there with us! The wonderful group of bloggers that we had the oppotunity to spend quality time with at Cabi Blogger Day are incredible. We are so grateful that Cabi brought us all together. Alison is an incredible woman living in Washington DC who shares amazing everyday fashion advice. We love how honest she is in her reviews, how she knows how to dress for her age and body type and how open she is with her followers. We love watching her transformation as she takes time for herself and shares her journey with her followers on Instagram. Go check her out! Alyssa runs Alyssa Mopia, a lifestyle bog that covers travel and food. She is based in San Diego and is a wonderful storyteller! She has a lot going on from being a social media strategist, a podcast host and she is the other half of Casual Creatives. You will love what she has to offer! Lauren is a style blogger who lives in Nashville. 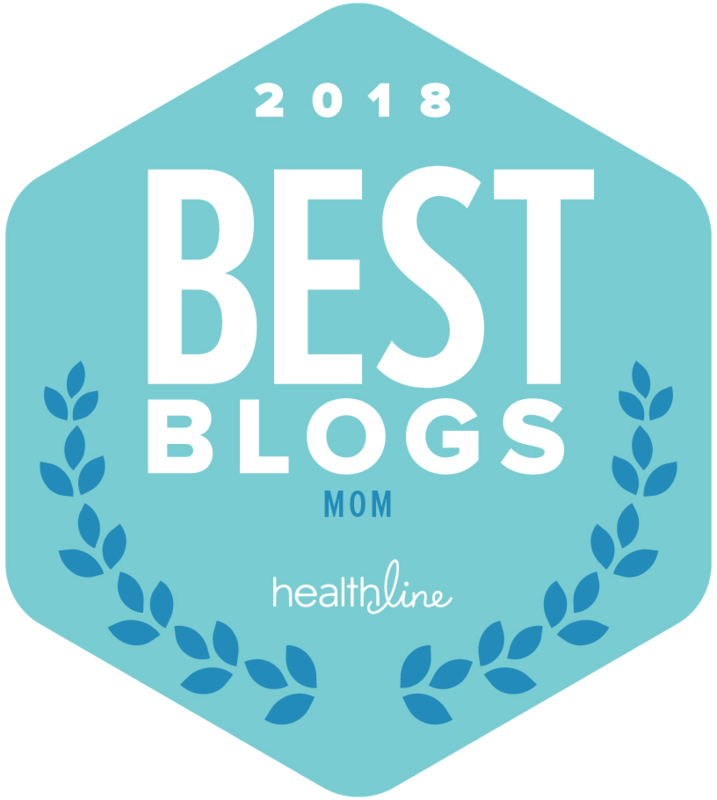 You will also find great posts about her home and life on her blog. Lauren has a great eye for style and shares easy to wear classic looks that are good for every woman! We love seeing how she styles herself on the blog and you will too! Nancy is such a sweetheart! Her site is so fun and bright as she covers lifestyle, fashion and food. Right now on Happily Ever Nancy, she is sharing amazing spring trends, including an easy to wear jumpsuit from Cabi! You can’t help but smile as you browse around and you will love her style as well. Head over there to brighten your day! Romy is such a blast! She has been in the space for a long time and knows exactly what her audience wants! We always notice her unique and strong fashion sense that she shares and wears proudly. She loves fashion, travelling, beauty products and more. In addition, we appreciate the large section on her site for women over 40. She is an incredible woman who you will just adore! Check her out! Sharon is an incredible mom to two boys who understands what it means to be a mom and how to take care of yourself. Cupcakes and Cutlery gives you permission to be a mom without always being with your kids. She believes that being you and being a mom can go hand in hand! She always shares amazing recipes, things that are essential in life (like wine and chocolate, to name a few). And we can’t miss her style tips! You will love how real she is and will relate to her after the first post! Go have a read!